Working with Lovelace Photography was a wonderful experience! Denise Lovelace thoughtfully considered the best way to portray my family in the three photo shoots we participated in! The photos were absolutely beautiful and hard to choose in the end! Her extra touch was evident in the engagement pictures she did of our oldest daughter and her fiancé and in the graduation pictures of our youngest daughter. Her ability to capture each person uniquely is a gift! 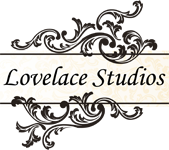 Our entire family highly recommends Lovelace Photography and the unique artistic gifts Denise has to offer.